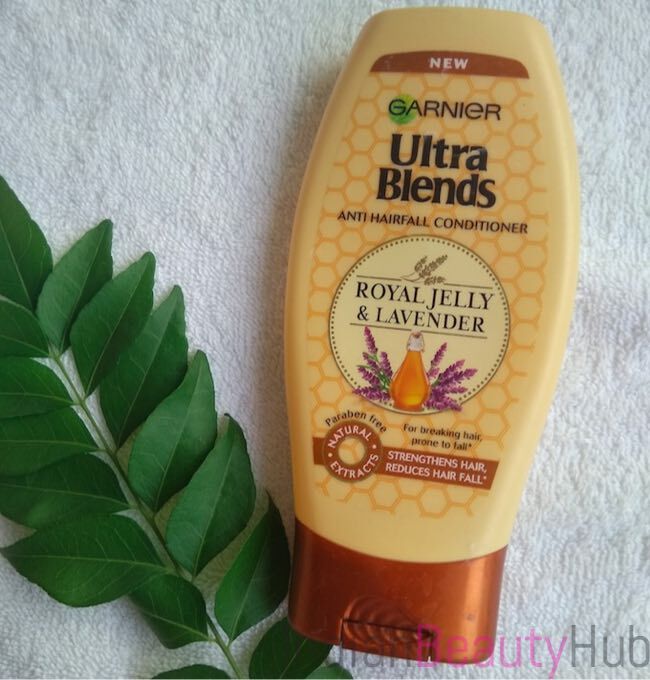 Hey everyone, today I’m reviewing the Garnier Ultra Blends Royal Jelly & Lavender Shampoo and Conditioner combo. Both products are enriched with gelatinous Royal Jelly & Lavender that helps rebuild and restructure the hair strand to give stronger, fuller and resistant to fall. 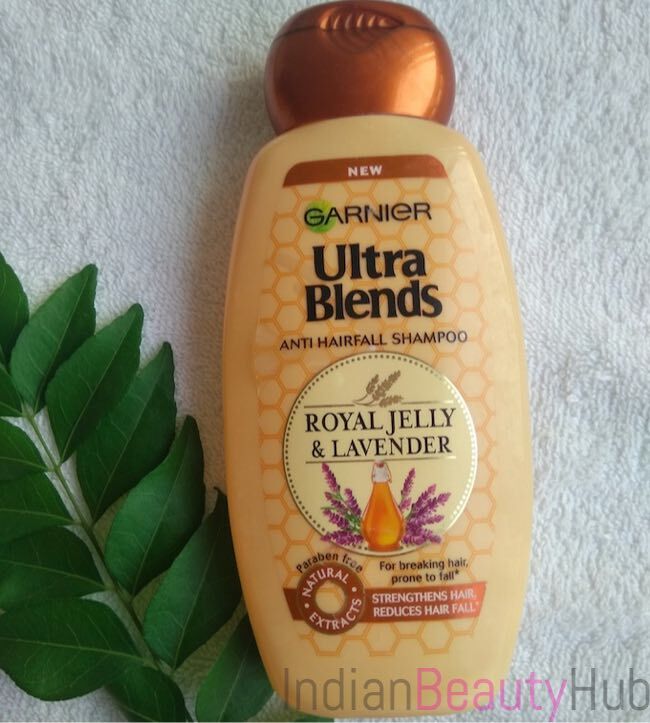 Garnier India launched this new Ultra Blend haircare range a few months back. I’ve already shared my haul post featuring all the variants available, if you are interested you can check that post here. Packaging: Garnier Ultra Blends Anti Hair Fall Shampoo & Conditioner come in light yellow plastic bottles with flip caps. The flat bottle packaging is very hygienic and convenient to use. 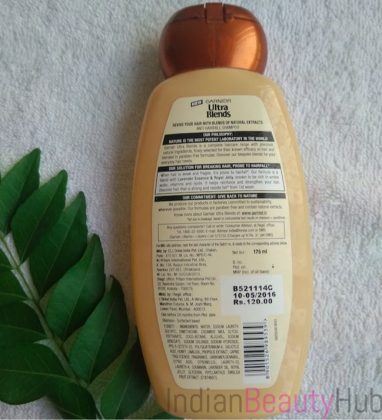 The product related required information like claims, usage, price, benefits, ingredients, expiry date, etc. is mentioned on the bottles. 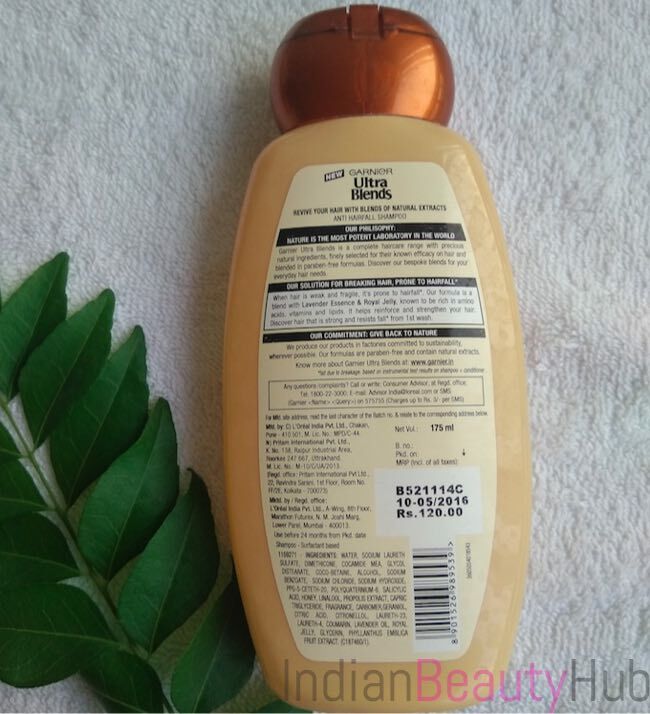 Texture & Fragrance: The shampoo comes in an off-white color and has a silky smooth texture whereas the conditioner comes in a white color and has a slightly thicker consistency. Both shampoo & conditioner have a lavender essential oil kind of fragrance. I found the fragrance a little strong as it irritates my eyes while washing the hair. My Experience: I’ve been suffering from a minor hair fall since my little girl is born. But I’ve very thick & dense hair, so I don’t mind losing a few strands every now & then. After the launch of this new range, I thought why not give this haircare combo a try to see if it actually prevents hair fall. 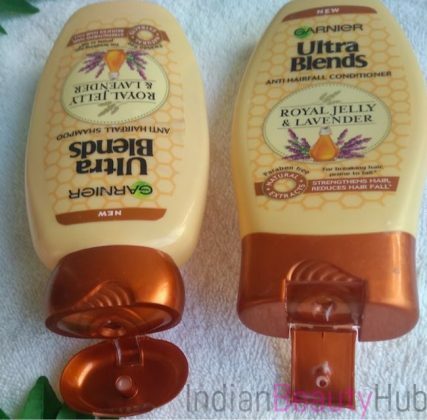 I’ve been using this hair combo for the past one month and to be honest I’ve not seen any noticeable reduction in my hair fall. 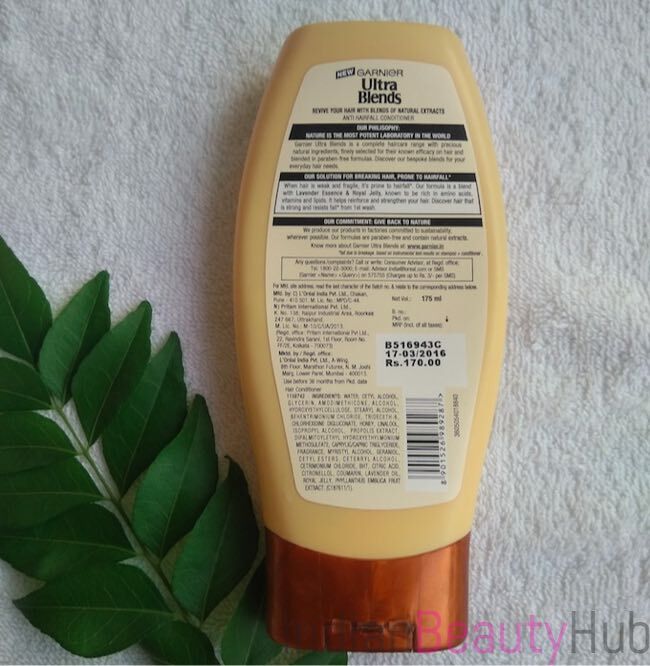 However, it does pretty good job in cleansing the hair & scalp and the conditioner adds a little bit moisture to the hair. But sadly this combo didn’t work for my hair type. 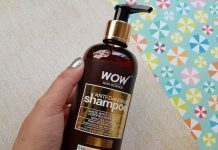 The shampoo lather well and cleanses the hair & scalp nicely and the use of conditioner makes hair a slightly manageable. 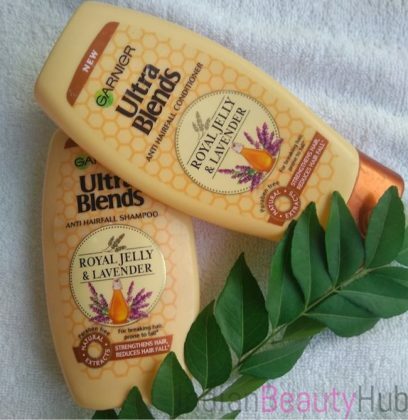 It is enriched with Royal Jelly & Lavender that makes hair stronger, fuller and resistant to fall. 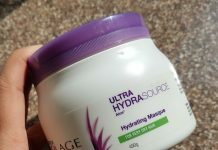 It adds a little bounce to the hair that is a bonus if you have fine hair. It does pretty good job in defining the curls in case you have curly hair. It is not very effective in preventing hair fall completely. Not enough moisturizing for dry, rough & frizzy hair. Its fragrance can irritate sensitive eyes. The combo didn’t control frizz neither did it add any shine to the hair. It is not suitable for chemically colored hair (I’ve seen the major fading of my permanent hair color after 1 months usage). 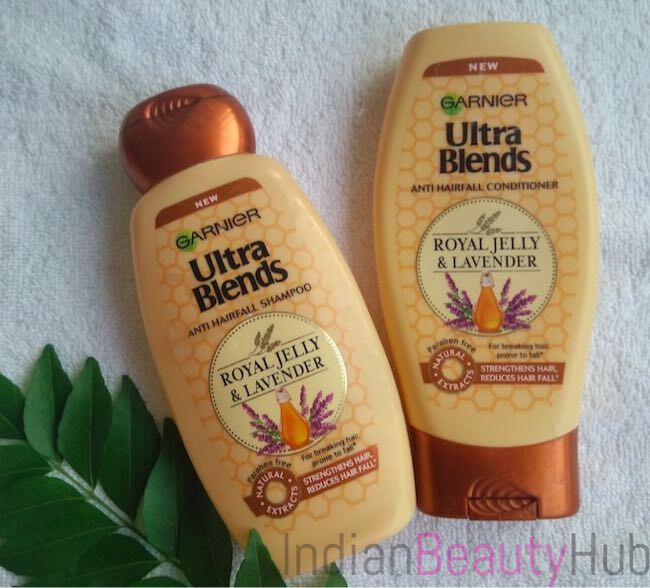 Overall, I found this Garnier Ultra Blends Anti Hair Fall Shampoo & Conditioner combo an average one. 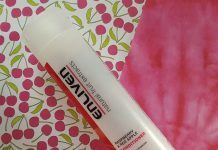 The shampoo does cleanse the hair & scalp nicely and the conditioner makes hair slightly manageable. But as far as hair fall prevention is concerned it is not very effective (at least for my hair type). All in all, it didn't work for my thick, dense and chemically colored hair.